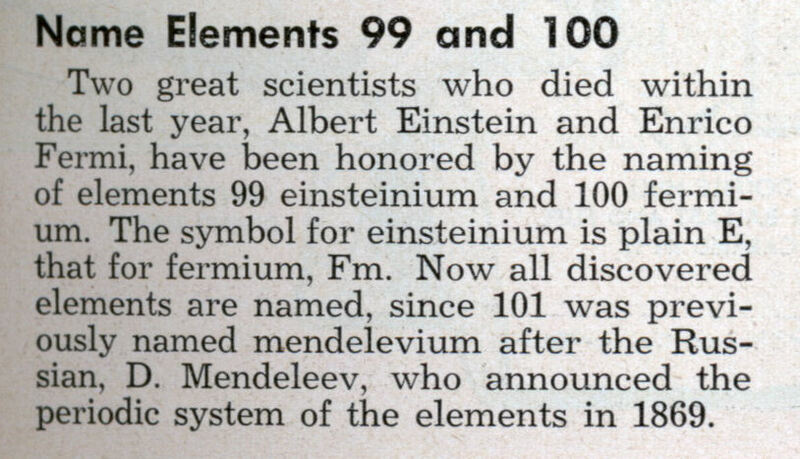 Two great scientists who died within the last year, Albert Einstein and Enrico Fermi, have been honored by the naming of elements 99 einsteinium and 100 fermium. The symbol for einsteinium is plain E, that for fermium, Fm. 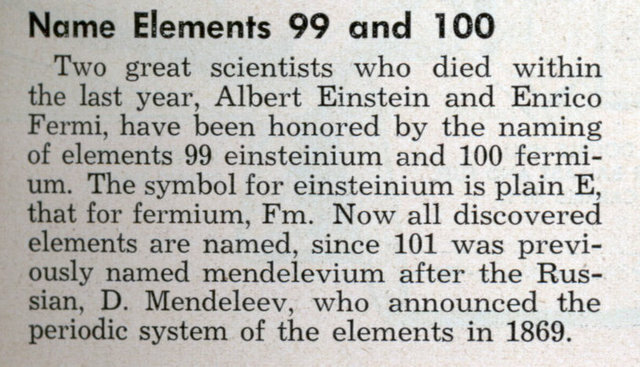 Now all discovered elements are named, since 101 was previously named mendelevium after the Russian, D. Mendeleev, who announced the periodic system of the elements in 1869. Einsteinium now has the symbol Es.